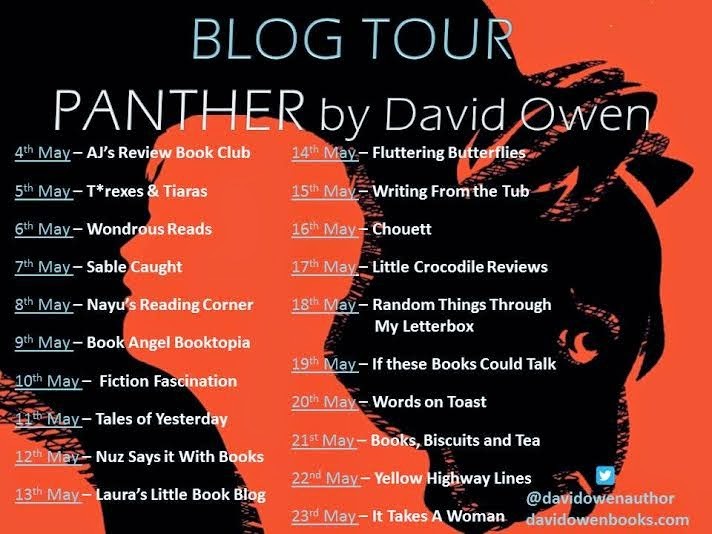 I'm really happy today to be taking part in the blog tour for Panther by David Owen and today I will be sharing this interview with David Owen. I quite like it, I hope you will as well. Panther was published at the beginning of the month, do look out for it! Hello and welcome to Fluttering Butterflies! Could you please introduce yourself and tell us a little something about your book, Panther? Thank you for having me! I’m David Owen, and Panther is my debut novel. Which is exciting. I was inspired to write after ‘A Monster Calls’ by Patrick Ness forced me to choke back tears while crammed onto a train with three different stag parties. The use of magic realism to tell a deeply emotional story was something that interested me straight away. Panther contains some really heavy issues - disordered eating, bullying, depression, suicide - were there any scenes or aspects of the book that you found more difficult to write or that you kept returning to in order to get right? It felt important to get all of those things right, so I felt a certain amount of pressure when writing about them. I put a lot of work in to make sure I didn't over-simplify or disrespect anything or anyone. Hopefully I was successful. Probably the hardest individual scene to write was Derrick’s binge-eating. That’s something I've struggled with for many years, particularly when I was a teenager, so having to call all of that up was difficult at times. But it also helped me gain some idea about why I might do it. Did you have an idea all along of the major plot lines in Panther or did they happen whilst writing? Was there ever a different ending in mind? The first thing I had was the ending (which obviously I won’t say much about here!). I knew who would be there and what would happen, and the final images were something I’d had in my head for a long time. From there it was a case of working out how the characters would find themselves at that point. 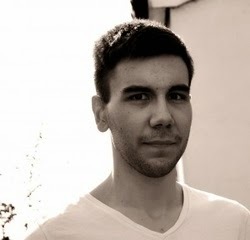 Panther is your debut book, congratulations! How have you found the experience so far? Thanks! It’s been great. The book sold 18 months ago, so it’s taken a long time! It’s been brilliant to work with my editors and everyone else involved behind the scenes. There’s so many of them! I had no idea. And they do so much work, with so little recognition. All I did was write the stupid book. There are some really complicated and emotional relationships in the story. Notably Derrick and his sister (but also Derrick and Tamoor) and these sort of sibling relationships are my favourites. Where do you draw your inspiration and do you have any favourite fictional siblings? I think sibling relationships are really interesting, because whether you like it or not you grow up knowing pretty much everything about each other. Then as you get older you often start being more private and keeping things from each other, and it’s a really surprise when you discover something you didn't know about them. That kind of relationship is ripe for drama and stories. Family secrets are always exciting! 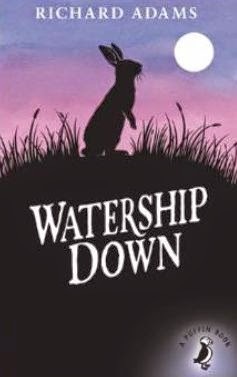 There’s a host of great siblings in The Chronicles of Narnia, and Hazel and Fiver in Watership Down are particular favourites. They’re not sentimental about family, yet Hazel still has absolute faith in Fiver. There's a bit in the story about Derrick picking up on language used to describe his sister 'crazy' and 'mental' Is there a wish list that you have about things you'd like to change about the media and the public in general about their views of people with mental illness? I think it’s a matter of improving education and empathy. Having a mental illness, like depression, does not make someone crazy. It means they have an illness. But because it isn't as tangible as the likes of cancer or heart disease, it’s dismissed by many, or worse, demonised. We saw it in the media recently with the pilot of Germanwings flight 4U9525 who was found to have suffered with depression. We can’t know what role that played in what he did, but the media reacted as if everyone with depression was dangerous. That’s millions of people. And not only is that deeply hurtful, it’s also hugely harmful. How many people will be put off seeking help because they’re scared of being branded crazy and dangerous? Depression doesn't make you hurt other people, it makes you hurt yourself, and this stigma will only make that worse. 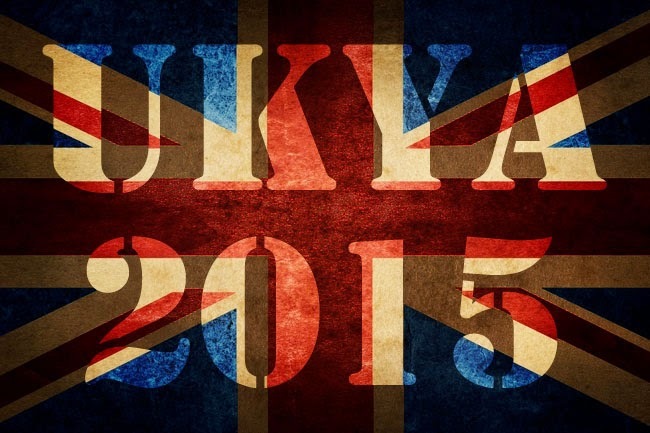 We need to talk, we need to listen, and we need to understand. I've read that Panther's story line is something you have experience of yourself - both a family member with depression and having depression yourself - how easy or difficult was it to write this story and draw on your experiences and at the same time tell Derrick's story? Having experienced depression from both sides made writing the book relatively straightforward, as I felt I had a good grip on the things I was writing about. But separating it from reality was difficult at first. There are undoubtedly traces of real people in my characters, particularly myself in Derrick, but despite what a lot of people I know think, the characters soon took on a life of their own and became very different to any real life counterparts. After that it was easy to make the distinction and tell Derrick’s story. 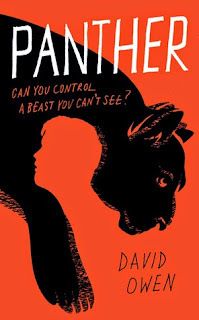 And finally, Panther was a book I was really looking forward to reading - what book, UKYA or not, are you most looking forward to reading this year? I’m stupidly excited to read the new Patrick Ness, ‘The Rest of Just Live Here,’ as I am a mega fan of his work. I’m also really looking forward to ‘Remix’ by Non Pratt, and the new Rainbow Rowell. There are a few books I’m behind on, too. I still haven’t read the new Ishiguro or Murakami!